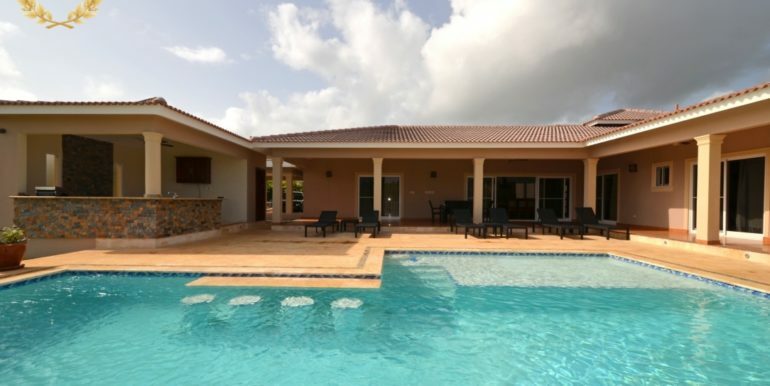 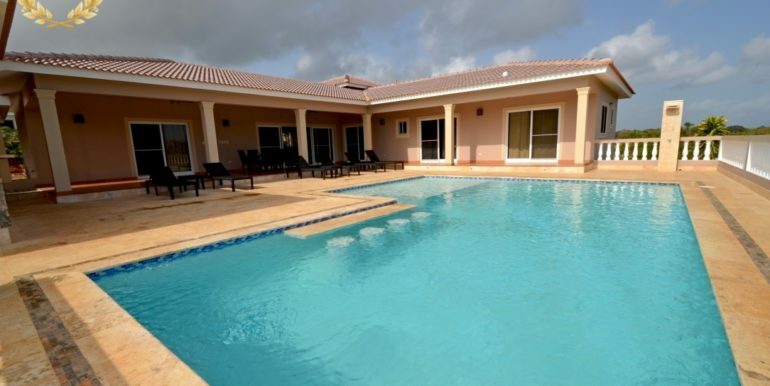 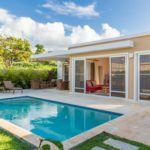 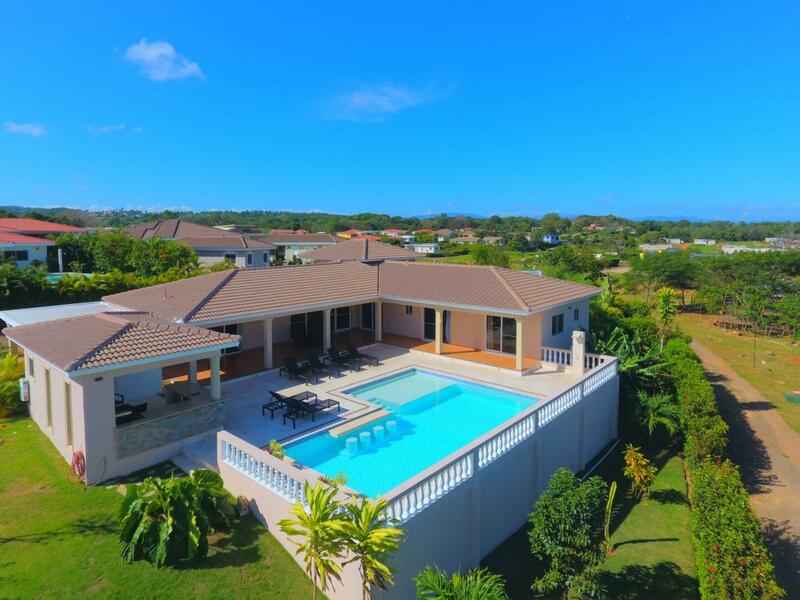 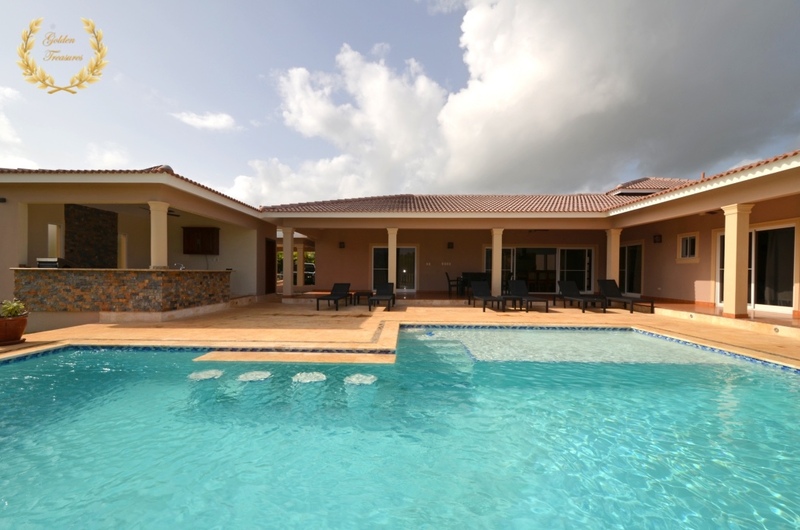 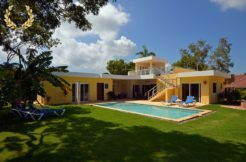 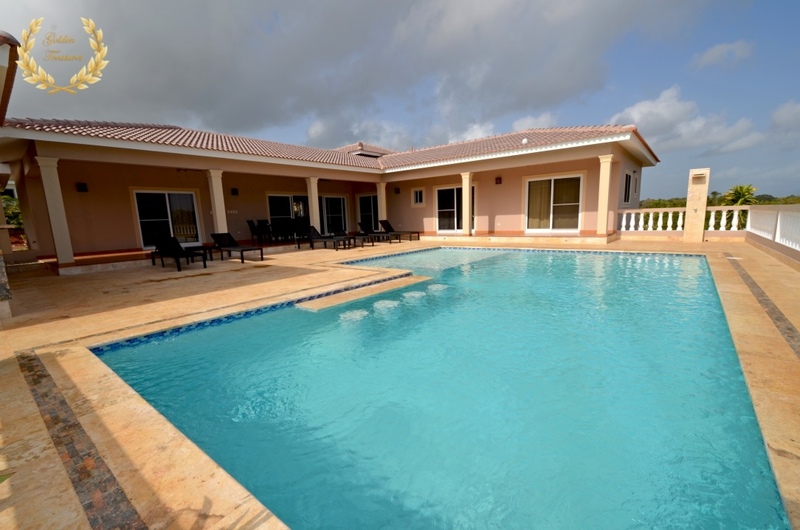 Feeling more like a private spa villa, this 4 bedroom, 4 bathroom rental boasts a generously sized swimming pool with shallow tanning area and wet bar stools, to please a family group of up to 8 people. 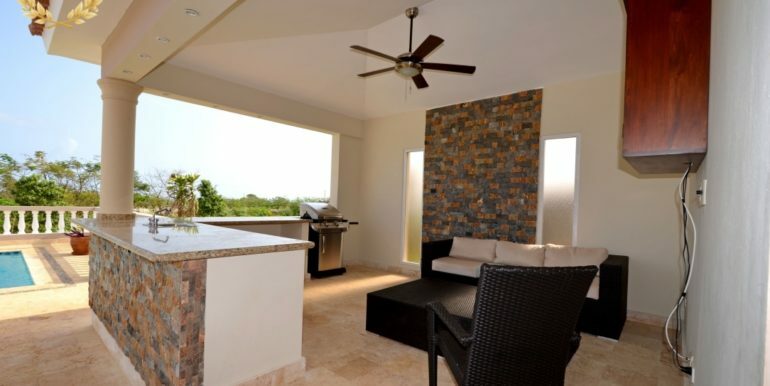 It is a custom design villa with very fine finish, seen in the fine kitchen cabinetry, imported ceramic flooring and hybrid architectural style. 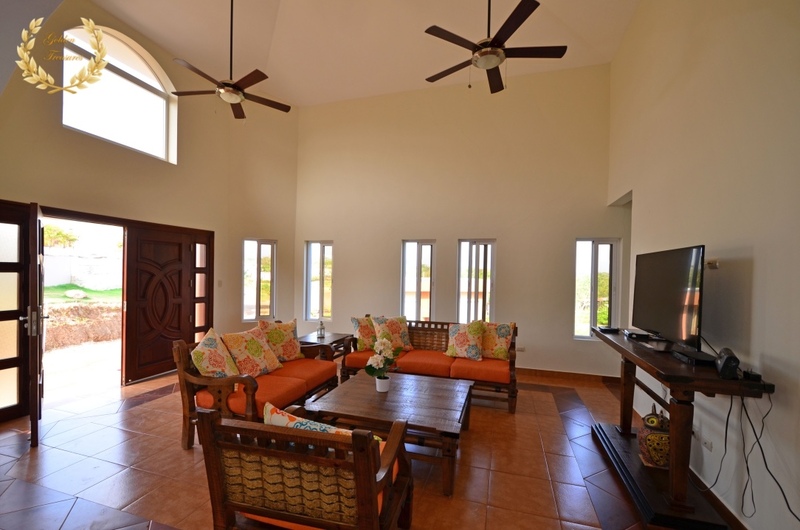 Its minimalistic interiors bear light hues that come off the high ceiling windows and give the villa a warm atmosphere. 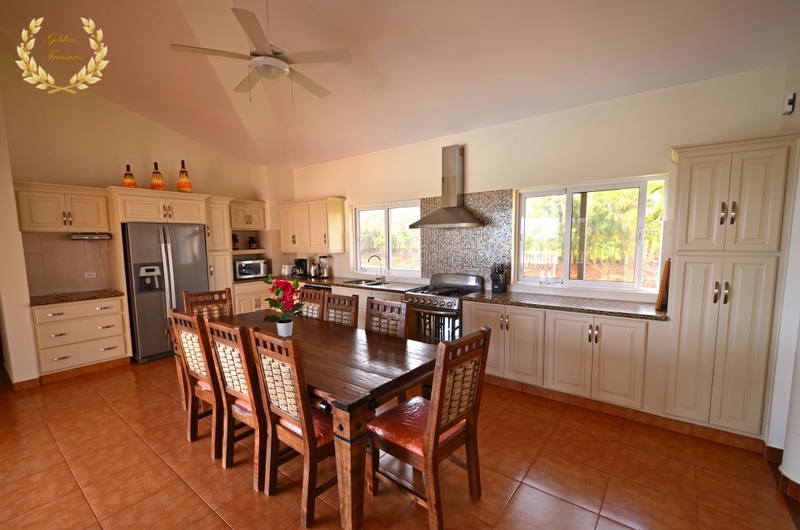 The fine kitchen feels elegant and simplistic, with a dining table as the center point. 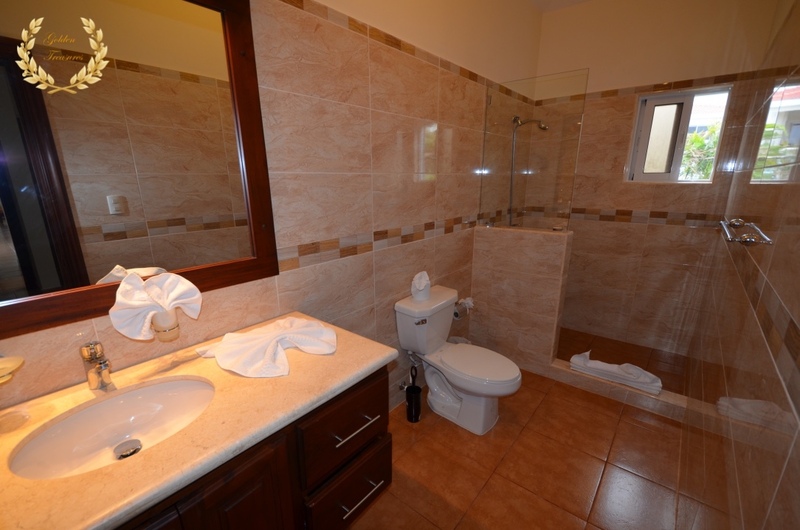 Daily maid service with linens and towels is included, also the usual perks such as cable TV, WiFi and pool maintenance. 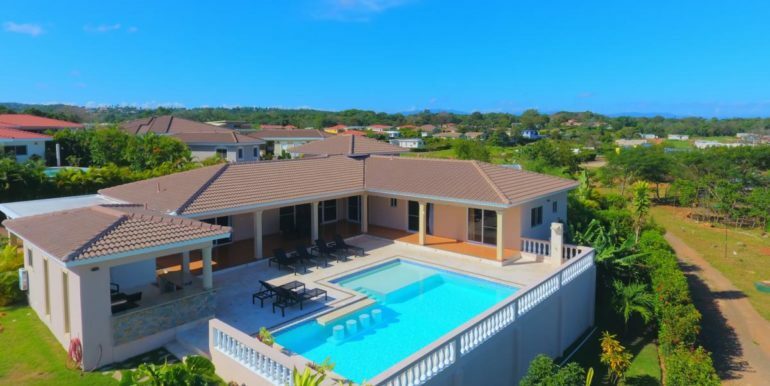 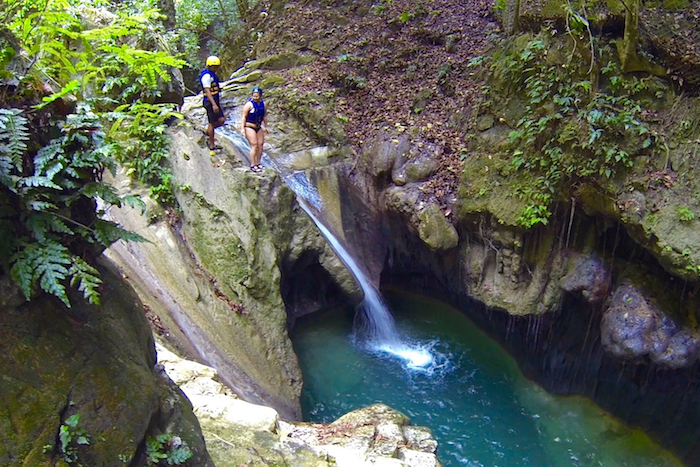 Sosua villas guests enjoy a wide range of activities in the area, including superb snorkeling and diving by providers such as Acqua Adventures. 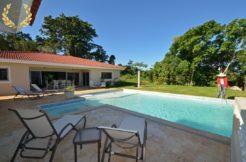 Paddle boarding, sports fishing, sailing, horseback riding in the beach and many other tours are offered through the concierge and tour agents in El Batey. 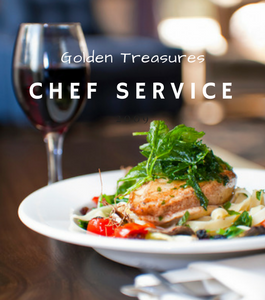 Some of the optional services offered by the concierge: Massage, manicure, pedicure, hair blowing, private chef, driver with van and restaurant reservations. 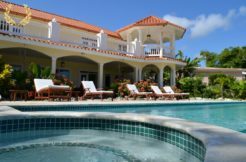 Sosua has a wide variety of fine restaurants to choose from, and local food prepared by local chefs can be seen online at www.dominicancooking.com and our online chef menu. 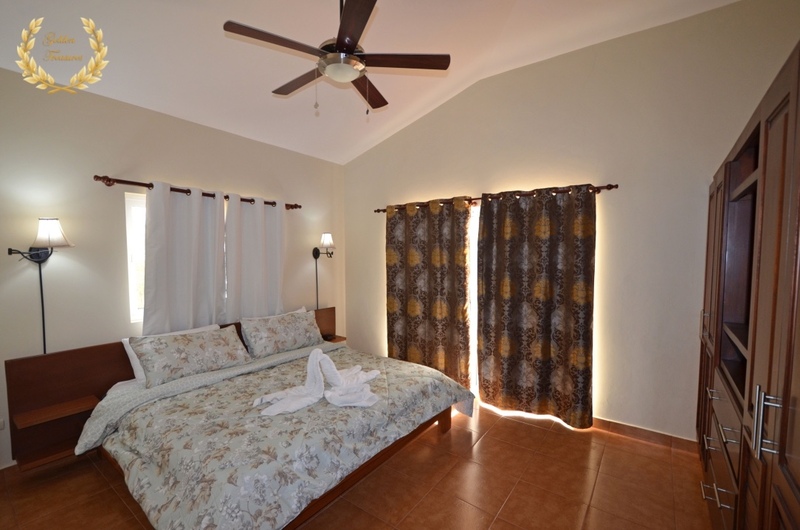 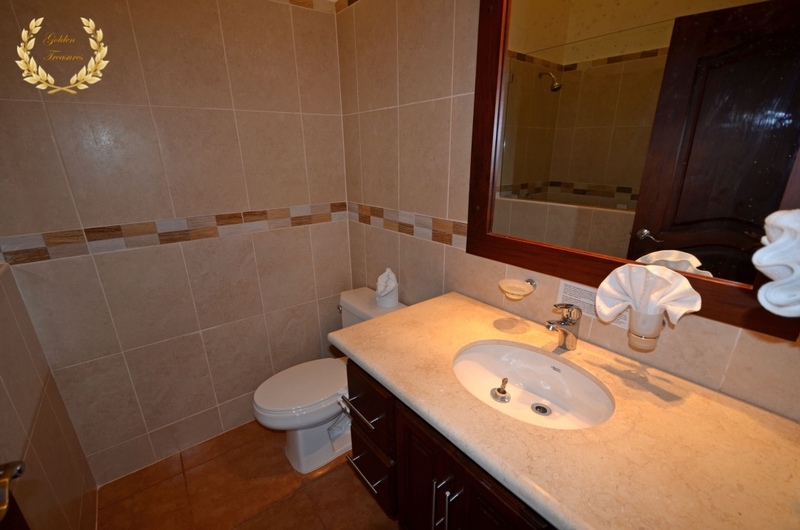 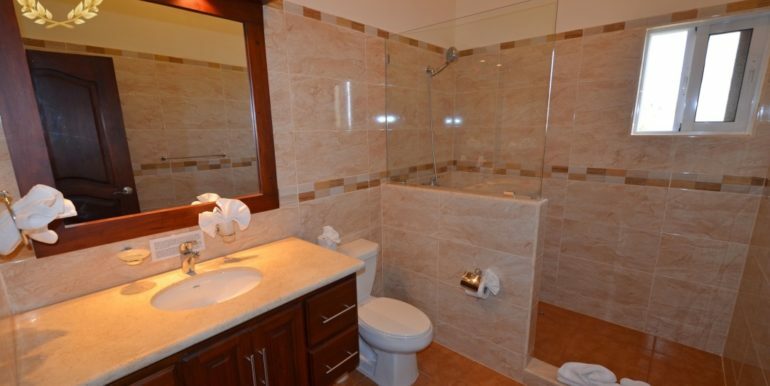 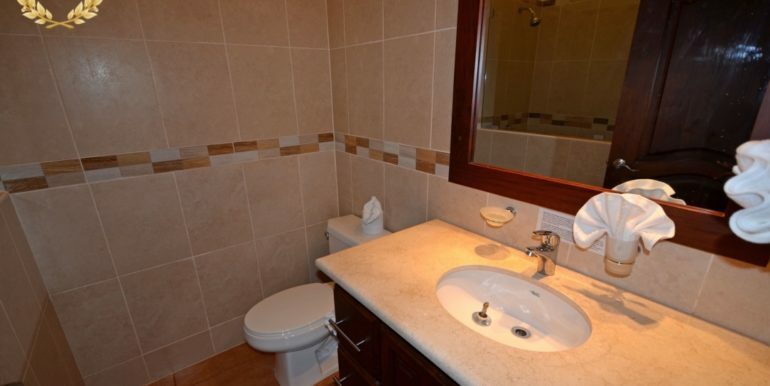 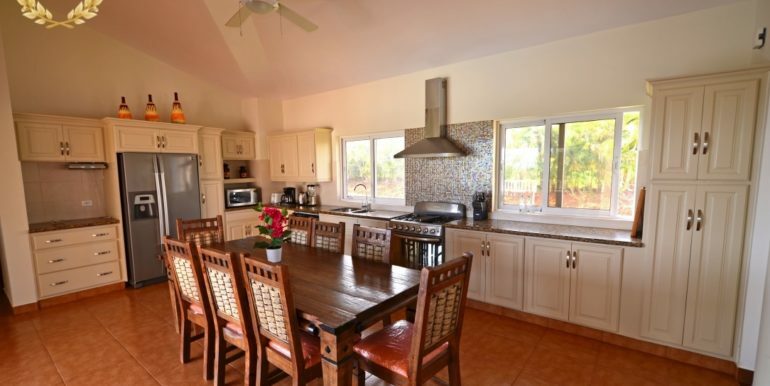 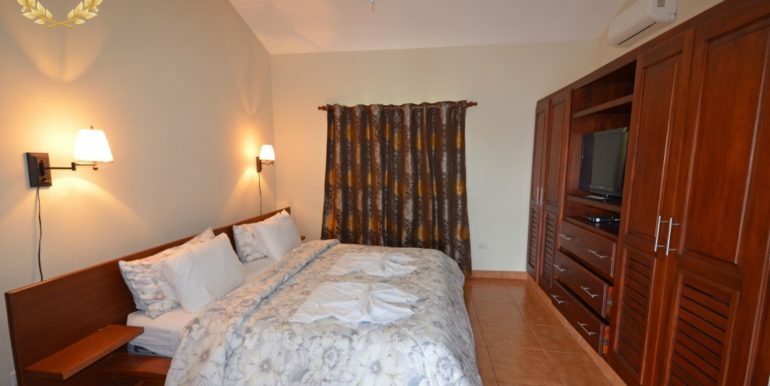 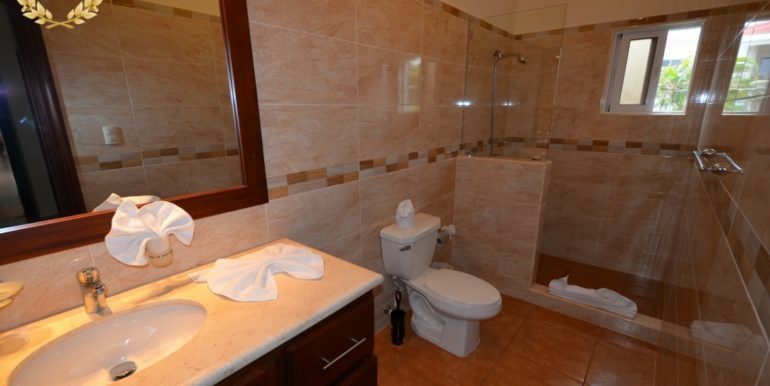 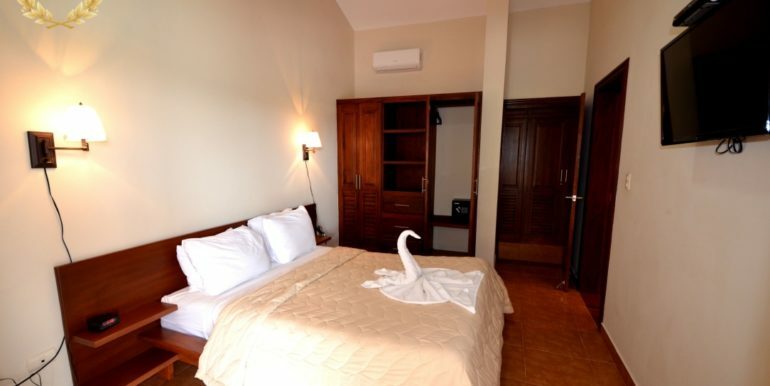 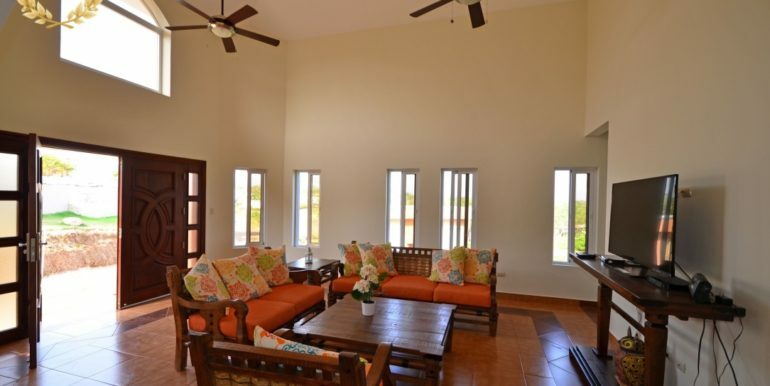 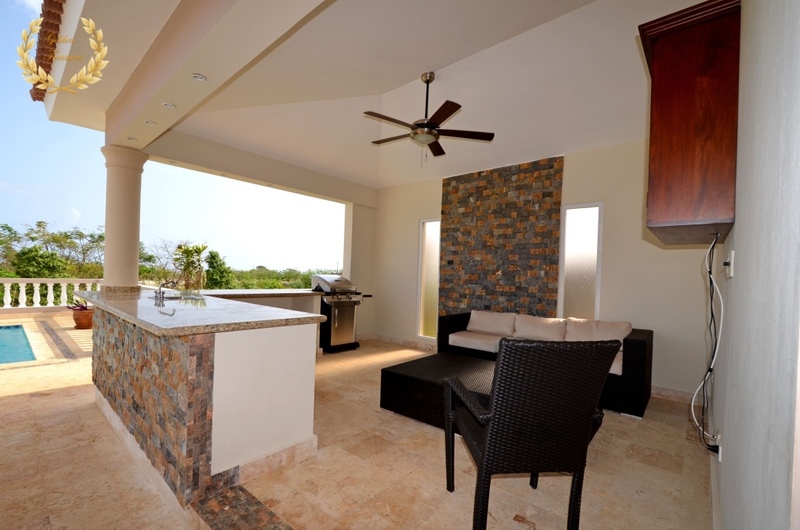 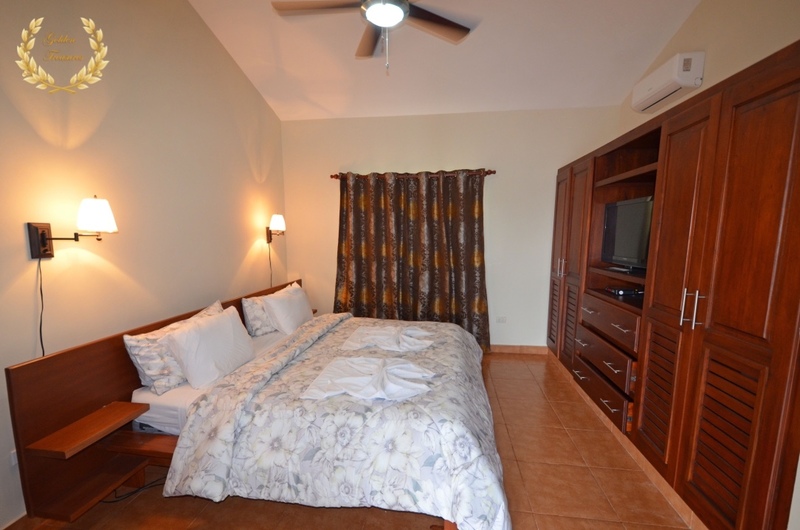 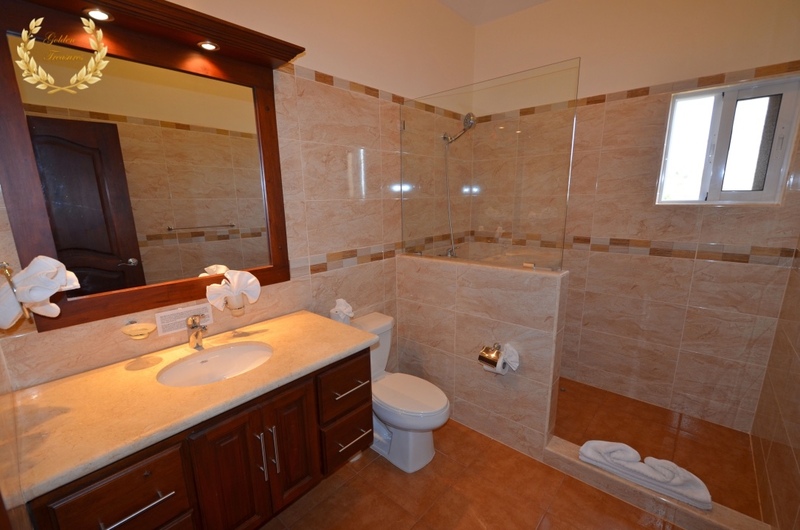 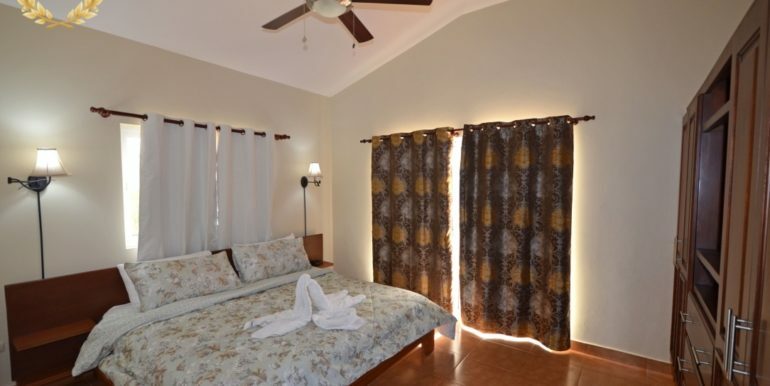 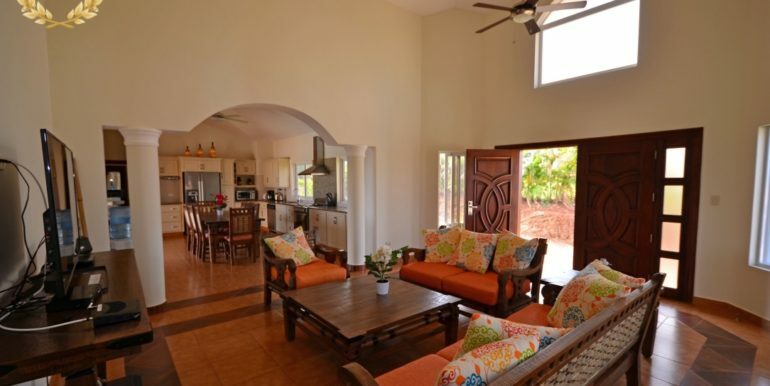 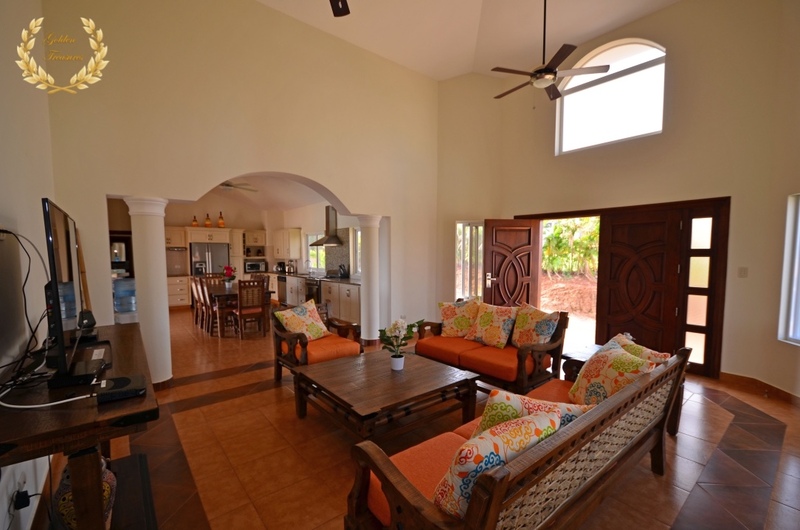 The villa has a complete kitchen set of cooking utensils and appliances. 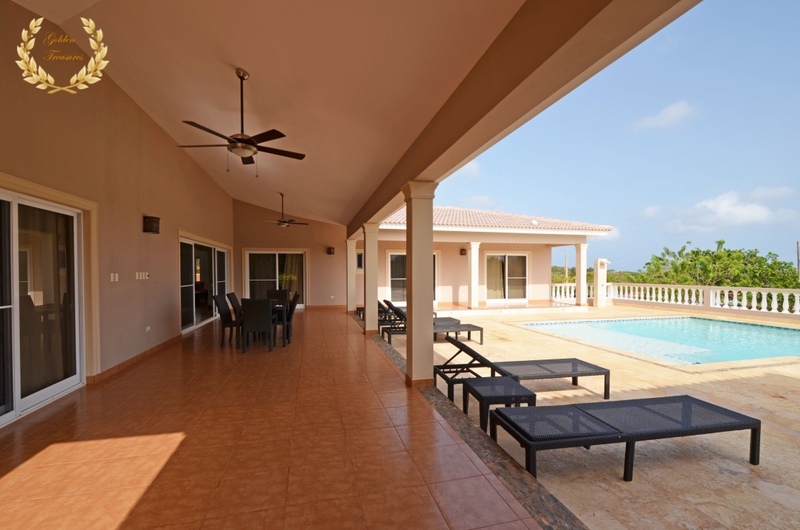 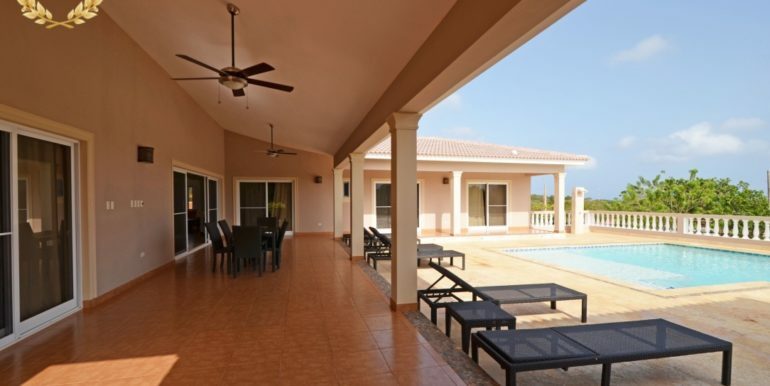 Villa rental ref # spc1186-805.